Today: Traditional pecan pie, this is not. But it is nutty, sweet, spiced, and gooey -- and you should make one this Thanksgiving. Anyone who’s experimented with raw, vegan desserts knows that most of them are variations on the theme of raw nuts (or seeds) and different kinds of dried fruit. This may sound a little redundant, but I promise that all sorts of magical and varied combinations can result from the pairing. More: If pumpkin is more your style, Gena's got a (cooked) recipe for that, too. Needless to say, no dessert lends itself better to a raw interpretation than pecan pie, which is pretty nutty to begin with. 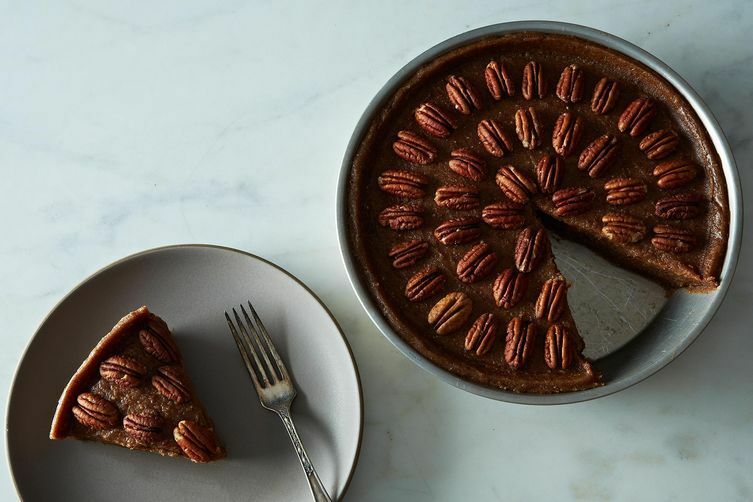 In this recipe, pecans, coconut oil, fragrant spices, and sweet medjool dates get blended into perfection, and smoothed into a simple, no-bake crust. Of course the recipe will be most authentic if you use the suggested ingredients, but for the record, cashews will work nicely in the filling, too, and the crust works nicely with 100% walnuts. You’ll need either a powerful food processor or a high speed blender to make the filling. Be sure to soak the dates for your filling in warm water before you start, and let the filling sit in a fridge for a good four hours before you slice and serve. You’ll be amazed at how authentically the dates and nuts capture the taste of this holiday favorite. A pinch of spice doesn't hurt, either. 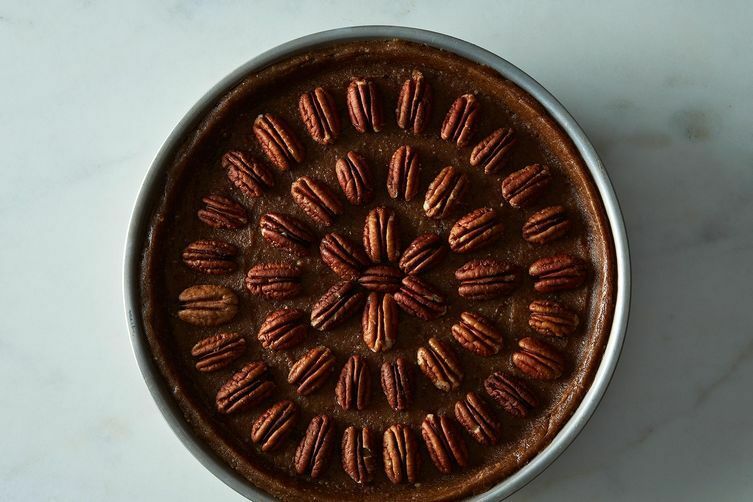 Entering my first fall season as a vegan and I am already craving pecan pies. Thanks for this recipe. I will be trying this shortly. Absolutely perfect! I know this without even trying it - but I will be trying it. How do I know? Because I make little balls that are made out of almost identical ingredients.